Snake game requiring both strategy and skills. Are snakes any good at Checkers? You can find out in this unique level set. Snakoban takes the classic Sokoban puzzle type and adds a new twist; the player is a snake whose tail can get in the way. Experimental level set, mostly to demonstrate/practice critter scripting. Based on an idea by Alan Carr. Chase mobile mice around the screen in this almost-classic-style Snake level. Version 1.1.0 changes mouse behavior and adds one level. Requires SQ version 0.8.4 or later. 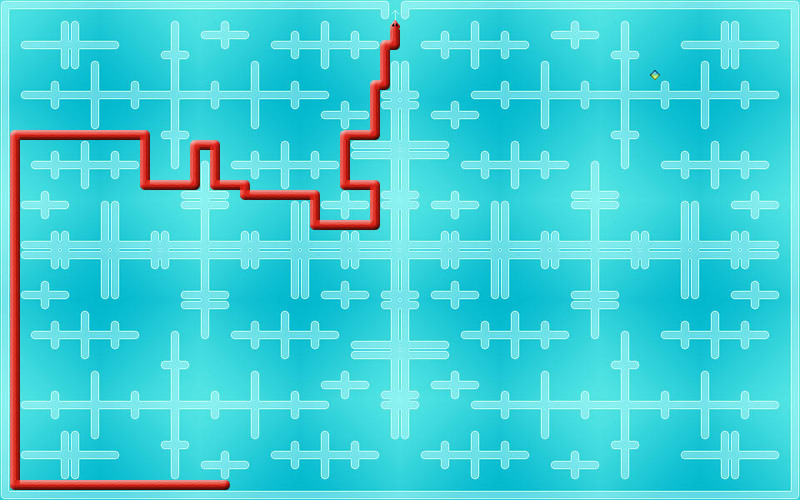 In this classical-style snake game, it's you against the world. Your goal is not just to pass each level, but to destroy it. A simple set on which two players may try to kill each other. Each snake is infinitely long, and the only goal is to trap the other guy. Good luck. Classical-style snake game. Larger-than-usual levels are partially obscured, and subtly different each time you play. Try it and see!